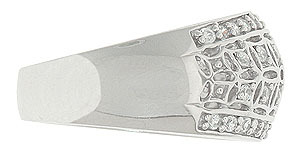 Diamond encrusted stars stretch across the face of this antique style 14K white gold wedding band. 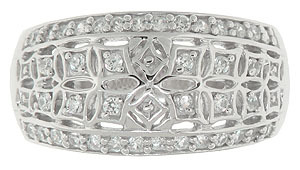 Elegant rows of diamonds frame the central pattern. The wedding ring measures 10.87 mm in width. Size 6 1/2. We can re-size. 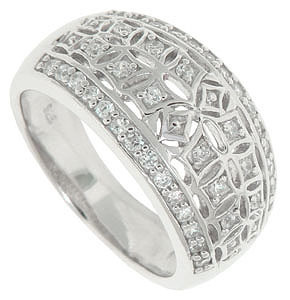 The ring can be reordered in any size and is also available in 18K, yellow gold and platinum.